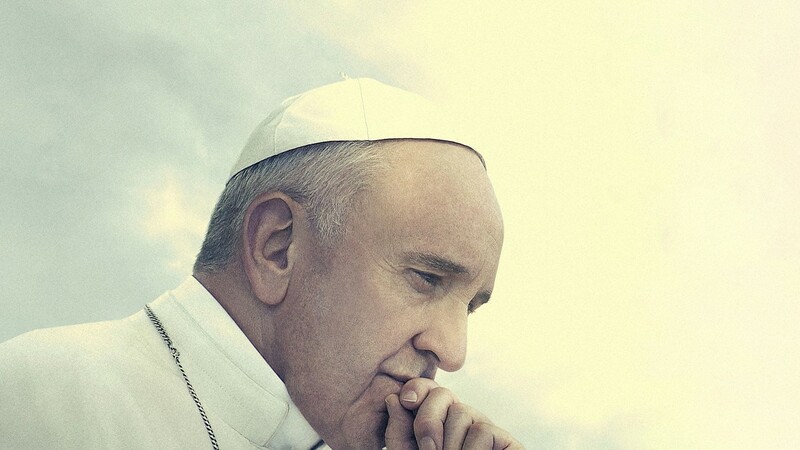 Wim Wenders’ unabashedly admiring documentary about Pope Francis is an intriguing and inspiring look at the man who is breaking a number of precedents in the Holy See. He is the first pope from South America after 265 predecessors, mostly from Italy. He is the first Jesuit, an order known for scholarship who “seek to find God in all things.” And he was the first to choose the name Francis, after the 16th century saint who was devoted to animals and nature. He is unaffected, explaining that he wants to live very simply. He speaks to audiences and to us via the camera with candor and sincerity on topics ranging from the environment to interfaith understanding to the “three T’s” he says should be the foundations of our lives: in English, they are work (for dignity and contribution to the community — “to imitate God with your hands by creating”), land (to support sustainable resources), and roof (home, family). One of the most striking scenes in the film has images of environmental damage projected onto the outside of St. Peter’s Basilica. “The poorest of the poor is Mother Earth. We have plundered her.” And he reminds us that it is the poorest of the poor who suffer first and most from environmental degradation. His Holiness appears before the United States Congress and goes to Jerusalem to meet with rabbis and imams. He sits alone in a cell at the Holocaust museum Yad Vashem. He speaks movingly to groups and to us about the importance of listening. He misses the connection of taking confession. He says smiles are “the flower of the heart” and speaks of the importance of of having a sense of humor. He tells us the prayer of St. Thomas More he says every morning that always makes him smile. “An artist is an apostle of beauty,” he tells us. Wenders has taken that to heart and created a film that gives us a rare chance to hear directly from a man whose devotion and compassion will inspire anyone. 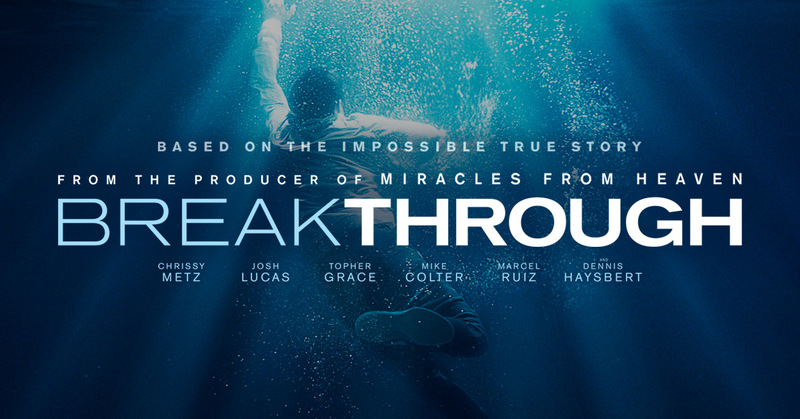 Parents should know that this film includes some footage of suffering, including illness, poverty, and abuse. Family discussion: How do the “three T’s” appear in your life? Why is listening especially important to Pope Francis? My favorite network television series is “The Good Place,” which had one of the all-time great twists at the end of the first season and has just completed its even-better second season. Everyone in it is superb, from experienced actors Kristen Bell and Ted Danson to newcomers Jameela Jamil (in her first professional acting role), Manny Jacinto, William Jackson Harper (you can see him on “The Electric Company” and in the movie “Paterson”), and D’Arcy Carden. While we wait impatiently for the third season (that last episode opened up some very intriguing possibilities), here are some thoughtful takes on the show. In the New York Times, James Poniewozik writes about the series’ refreshing optimism, contrary to the trend of the past few years toward antiheroes. “The Good Place” showrunner Michael Schur says he asked to be set up on a “playdate” with “Lost’s” Damon Lindelof. The thing that Damon did for me, which I was very grateful for, the greatest thing anyone any writer can do for another writer, which is to say, “Here are, like, 12 pitfalls you’re about to fall into,” which is exactly what I needed. I needed a person who is conversant in the language of science fiction or genre writing, which I am not, to say to me, “Here are some things that are gonna happen that are dangerous. Here’s what’s gonna happen, here’s how to avoid it.” So that was a huge part of how I operated going forward. He also reveals some details inspired by or in tribute to Lindelof. My friend and fellow critic Jen Chaney, a big fan of both shows, really drilled down on the connections for Vulture. 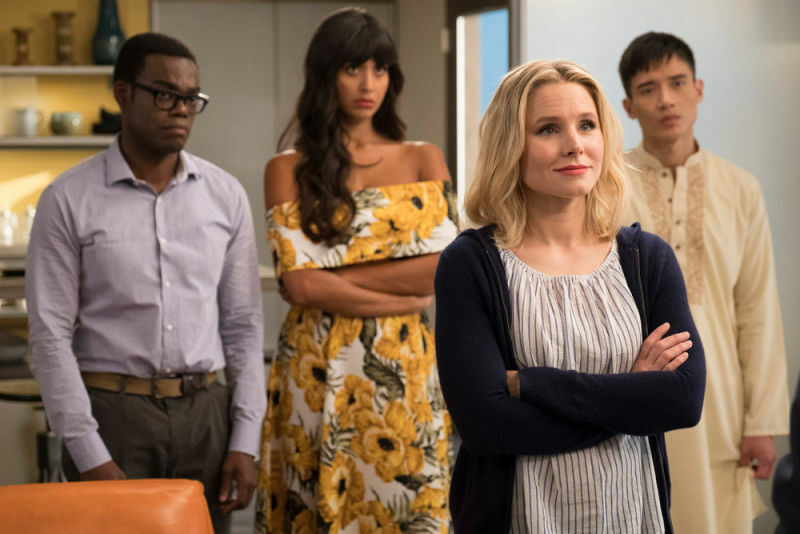 “The Good Place” may just inspire fans to try to be a bit better themselves, and not just to avoid The Bad Place. It might even inspire a few to try some moral philosophy, though if they have been watching the show they have already learned that too much thinking about ethical dilemmas can also be a problem. I guess for the answer to that one, we’ll have to wait for Season Three. Once again, Tovbis found a theme emerging from the films selected, despite the wide variety of genres and countries of origin. “I think the most timely theme that we have identified, very much reflecting the current political moment both nationally and also globally is our Mechanism of Extremism series which is looking at extremism and governments and societies from 1899 through to today. We have also continued a theme from last year which we actually intend to make an annual one, our Rated LGBTQ series. And then lastly on a much lighter side we found a whole lot of comedies of various sorts so we have bundled them together in a series called Laugh Track. The films will be of interest to Jewish and non-Jewish audiences. 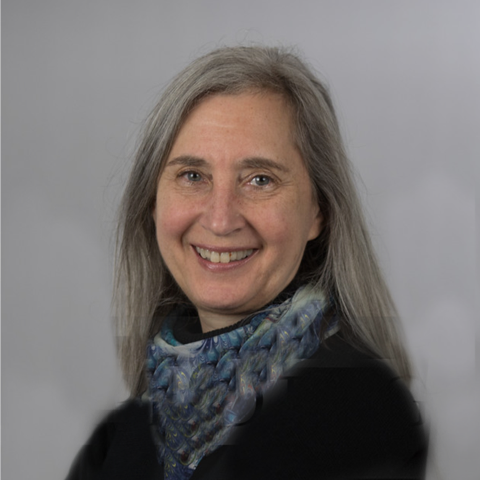 “I think we view ourselves first and foremost as a cultural artistic festival that has a Jewish interest. These films will appeal to a large audience that’s interested in great independent cinema. We do outreach to a whole host of organizations including arts organizations, nonprofits, issue driven organizations, different constituencies. As you dive deeper into the films you have this range of 136 events, with something for everyone. We have as always a lot of films on minority and Arab citizens of Israel and then we have some fun partnerships. We’re working with the local version of Comic Con, Awesome Con for our sci-fi films. Many of the films are being shown for the first time in the US or in the area, and some of the older films are rare or recently restored. “And we hope that being in the festival will get distribution for some of the films that are not scheduled for theatrical release,” Tovbis said. Another highlight is an evening celebrating Yiddish culture across artistic media. “We are starting out with ‘A Letter To Mother,’ which is a fabulous and also a really timely Polish film. It was filmed shortly before the Blitzkrieg and was the highest in this film in the American theaters a couple of weeks after the Blitzkrieg and it was the highest grossing Yiddish film in American theaters when it was released a couple of weeks after the Blitzkrieg. It is a really interesting historical document. The film itself, while it was shot then, takes place shortly before World War I and talks a lot about Jewish displacement for economic reasons from Europe to America and there’s a lot of relevance to the current refugee crisis.” The film will be followed by a live performance of Yiddish songs from a Dutch band called Nikitov.